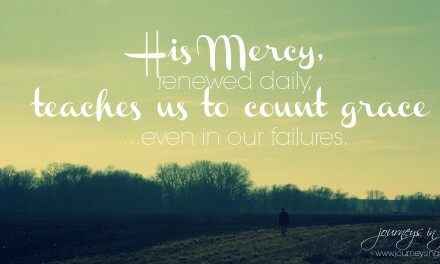 The waiting days seem to be full … full of many things that deter us from the purpose that waiting is meant to provide. Sometimes the hustle and bustle is full of the magic of togetherness, the wonder of embracing hospitality, and the beauty of communion with those who are waiting, too. That is a good sort of fullness. But other times, it is a stripping of self that leaves you feeling tired and empty and unsure of why we choose the chaos over the quiet. The most wonderful time of the year can often feel this way if we let it, but ADVENT is meant to teach us about the waiting with purpose. It is meant to remind us that we are on a journey, a treasure hunt for the ultimate gift. Advent is the reminder that there is a mysterious glory awaiting our destined arrival. 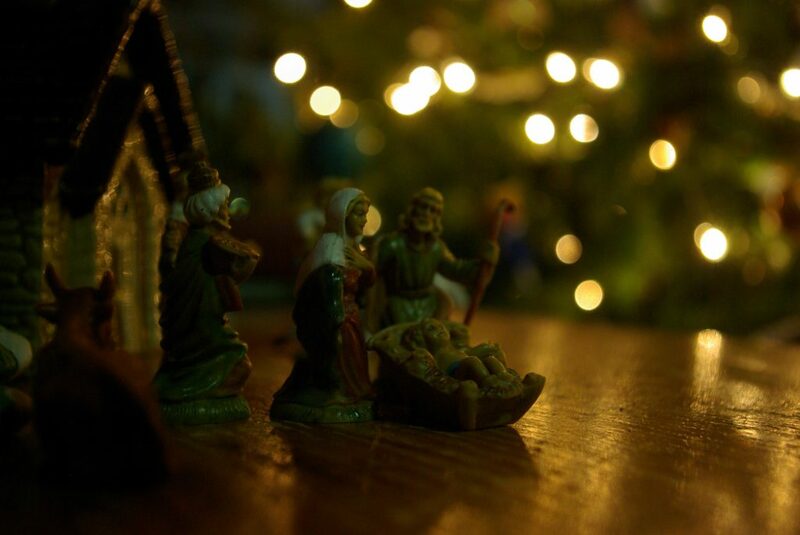 Advent Domini… means the arrival of God. 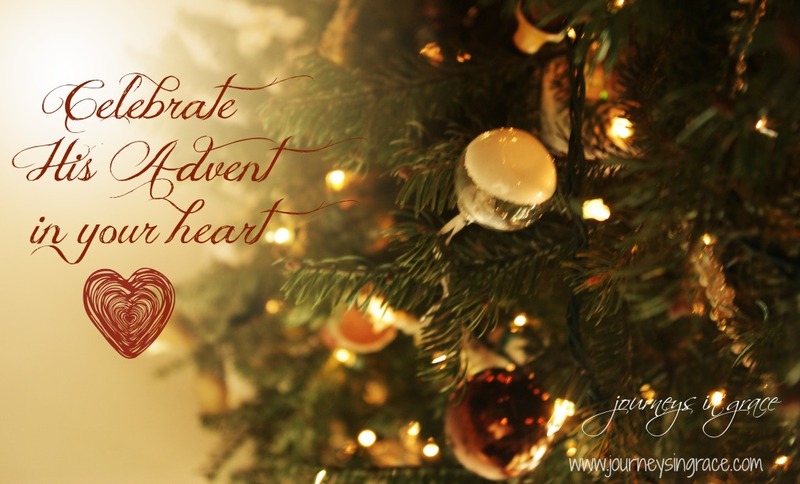 But our advent, our journey of destination is the arrival of our hearts into the waiting room of the majesty of God. 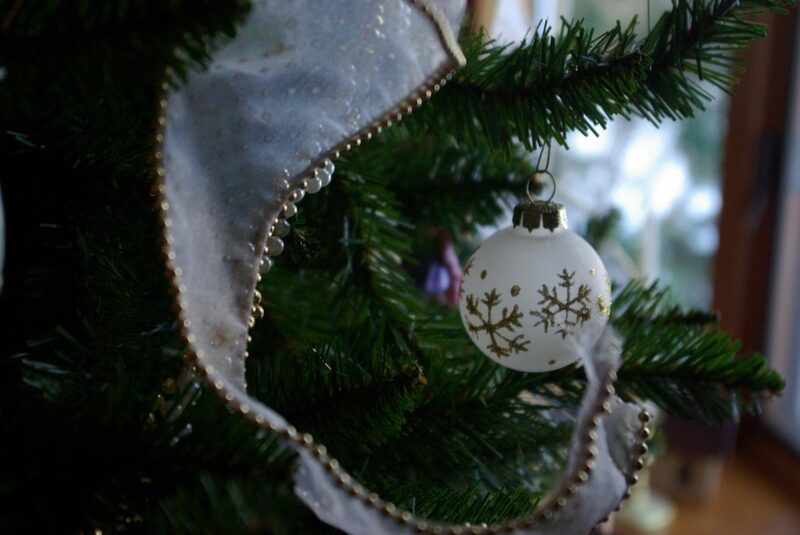 We are waiting on Him to arrive, to come and to present to us these tangible objects of grace… HOPE, PEACE, JOY, LOVE. The benchmarks of our light-keeping prayer vigils. But I wonder if it is more about our arrival to this stable of glory, the simple yet extravagant grace filled wonder that was given in the gift of His Presence, God with us… Emmanuel. And the one thing that can be so elusive during the pilgrimage we call Advent is the presence of Joy. Maybe this tiny word is an arrow in our hearts, because we can’t quite grasp the meaning behind it. Perhaps it is because we are so busy trying to check off all of the lists or fill up our calendars or find all those perfect gifts. Or maybe we just don’t feel like celebrating this year because life has been hard and change has shown up on our doorstep. Joy is defined as an emotion of great delight or happiness caused by something exceptionally good or satisfying. (dictionary.com) And to be honest, there were years, (yes plural…years) where I had no idea how to get a grip on this emotion. Swamped in the routine of not enough and never quite getting to the end of my list, I lost much of what I understood it could be. I was stuck and Advent, Christmas, was rarely joy filled. But I wanted it to be. I wanted it to be a slew of memories for my kids they could look back upon and smile rather than remember mom harried and crazy because I chose everything but the good thing during the holiday season. So I purposed to seek Him…to do this Advent thing for real. We stock piled books from the library, as many Christmas stories as we could find. We gathered around the table with glue and glitter and scissors and ribbon and we built memories of mess and laughter and love. We stuffed ourselves with sweets and with tradition in hopes that it would burn joy right into our soul and we might get to catch a glimpse of the delight of the Angel’s pronouncement. And the setting aside the chaos for the busy always brought us closer to the truth. It put a bandaid on the wound but never fully healed the hurt inside. Because it took getting right into the living Word for us to see, for us to find, for us to know that Joy is found in only one place. The more I learned to set aside the extravagant for the simple, the unrealistic for the wholesome, and the sacrilegious for the sacred I began to experience true joy in our Advent journeys. True Joy, that is, the eternal soul-filling heart-healing kind of God-Joy, is found smack dab in the center of His presence in our present situation. To find it, I had to run right up into the inspired logos printed out in black and white on the vellum pages of this Bible that was always within reach of my hand. It was always there… all the whole entire time I was wandering and looking and waiting… right there for me to find…waiting for me to arrive. And it struck me, the mystery of the manger. The purpose of the waiting is not just sedentary resting… it is not for the immovable traveler. No. It is for the transient, pick up your stick and head north to the little town of Bethlehem pilgrim, for the straggler who joins up with wise men following a luminescent twinkling light, and for the one who collects #gracemoments in the stories of the imperfect faithful along the way. It is for you and for me and for all the devoted wanderers whose hearts are bound to the One who has promised to set His seal upon us and write His Word in our hearts. Joy is in the present acknowledgement of His anointed presence. The affirmation that he is always in the midst of us, interceding, creating, giving and loving. In this, there is unrequited joy to be known, searched out, claimed, felt. Joy is known as we recognize we are known by God. 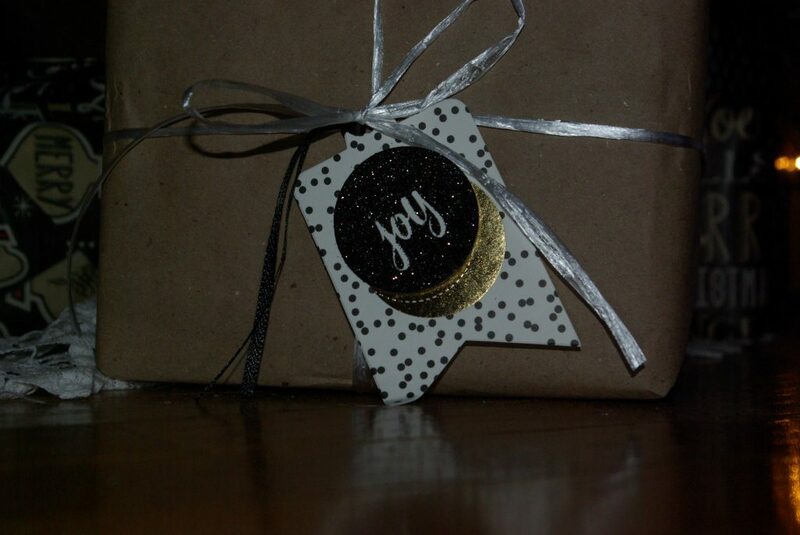 Joy is a practice of adoration, friends. It is a recognition that God is near… Emmanuel… God with us… is ever near to your heart every moment of your existence because YOU are ever important to Him. And Joy is not an emotion defined by the sterile words of a dictionary. 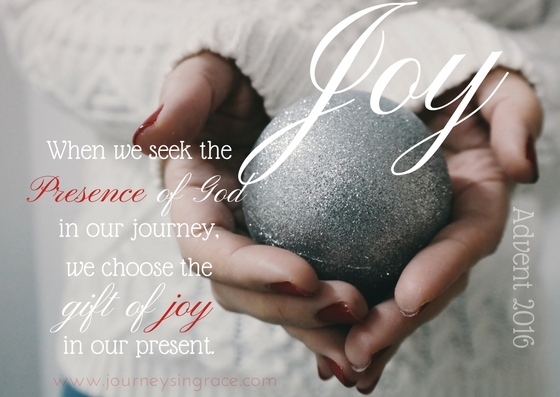 Joy is the reward for all those who choose to seek the presence of God. The simplicity of this realization hit me like a revelation of wonder. Waiting in the Psalms with David, this imperfect man after the heart of God, started up my own anemic weak cardiac response. 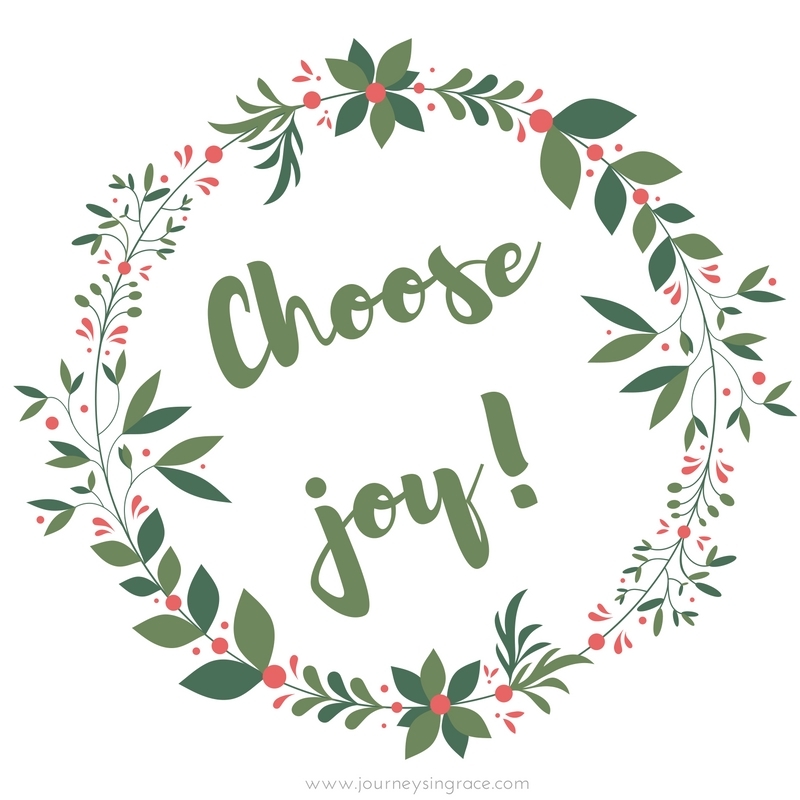 Joy is simply choosing more than. The sophistication of defining joy as an emotion of elation diminishes the depth of the power of joy in all the less than existences our lives wander into. The whole joy in trials is proof of this. How in the hardest times do we find our souls lifted to the highest places of wonder and elation? Because in the midst of our suffering and our journeys and our difficulties,… when we are seeking Him… He is faithful to meet with us. And here, in this place of arrival, the sacred communion of our heart,eclipsed by His Joy, is felt in ardent measure. We choose to seek Him, though He is ever waiting to be found. We arrive at the pillars of our advent journey, lights that lead the way in which we settle around. Hope, Peace, Joy, Love lead us to faith, eradicate unbelief, and establish His living Word as our confession. This is the first advent season in as long as I can remember that our family has not sat down to read a story through Advent in the evenings, but instead, we have chosen to devote time to reading His Word at the table and to personal time in deep introspection. My kids and I often gather through the day to share what we are learning and writing in our journals. It has not been easy for me; change and I do not get along well. As I’ve sought the Lord in prayer through this wrestling space, a place of letting go and letting them grow, He has been reminding me through His Word of the necessity of choosing joy in all things and to seek the mystery of the manger for myself. All this time I have been leading my loved ones but have been wearing myself out in the journey and my arrival hasn’t always been joy-filled. But this mystery of the manger is the hidden secret to joy in all our trials and journey because it lies in simple things we sometimes miss as we go. It is often in the mundane that the miraculous manifests itself. God shows up in the least likely of spaces, the least kingly of courtrooms, in the least prepared for gatherings, and the least expected of ways and He gifts us with grace for right now. Joy is the awareness that permeates the unexpected unanticipated giftedness of His presence being close in our present now. The miraculous mundane mystery of the manger is the choice that was made to meet us and manifest the power of hope, the promise of peace, the presence of joy and the plentiful love of God towards all men. Joy is setting the soul upon the top of a pinnacle; it is the cream of the sincere milk of the Word. Spiritual joy is a sweet delightful passion, arising from the apprehension and feeling of some good, whereby the soul is supported under present troubles and fenced in against future fear. – Patti Hummel, ‘Glorifying God’. So even in the days of our journey, this plodding and counting and following the light that leads us…we remember the words of Advent…Hope, Peace, Joy, and Love. The words of the angels were peace, the words of the wise men were worship, the words of the mother were faith, and the Word of God is Emmanuel, God with us, and In His Presence there always Joy. Praying for His abundant JOY in all your #gracemoments. A few gifts for your Advent Journey. If you like the images above, you are welcome to click on images below for a printable version. 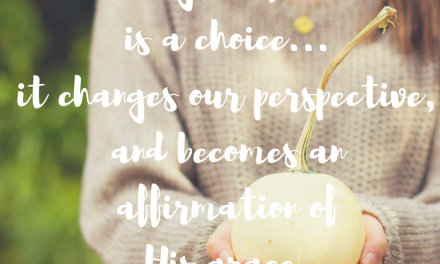 OH, that Amy Carmichael quote! And the idea that joy travels through the darkness of the night. So much to ponder there. Thank you for putting that out there in your post. I seek joy and do not want to miss Him. He is the Joy and is waiting for me to reach to Him. Thank you for encouraging my heart this morning. Dawn- wonderful post! I loved this line, ” But our advent, our journey of destination is the arrival of our hearts into the waiting room of the majesty of God.” Advent doesn’t have to be just around Christmas, does it? 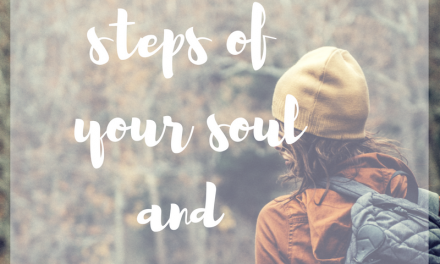 It’s journeying through the hard, but having our souls set on God’s mighty power to give us of Himself!